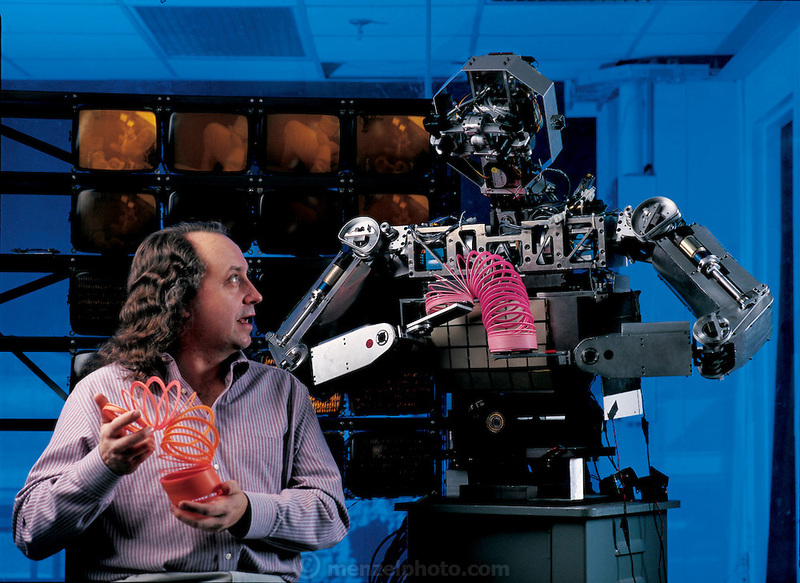 Roboticist Rodney Brooks of the MIT Artificial Intelligence Laboratory shares a slinky moment with his creation, Cog (short for cognitive), the robot he has been developing since 1993. Brooks is less concerned with making it mobile than with creating a system that will let the robot reliably tell the difference between static and social objects; for instance a rock and a person. In the resolution of such apparently simple distinctions, Brooks suggests, is a key to understanding at least one type of human learning. Cambridge, MA. From the book Robo sapiens: Evolution of a New Species, page 62-63.